I mostly code with plain normal C, though I've written a program in Java and used a bit of C++. I've tried perl, which was annoying, and lisp, which was kind of cool but kind of annoying. If I'm ever going to program in an object-oriented fashion, it'll most likely be D or a language of my own. Nowadays I mostly code in kernel-style. Tabs are hard and 8 spaces wide, a fact I'm willing to defend with almost religious fervour (well, except for the stuff I do in Eclipse. I don't really know (or care) how it deals with tabs in the actual files but they behave like hard tabs in the editor). I generally don't make rpms/debs/anything-else because, well, I'm lazy. I used to have an excuse but not anymore. But if someone makes an rpm/deb/whatever, just mail me about it and I will most likely host it. Same goes for binaries for any platform, though I do occasionally make binaries for windows. If you find any bugs, have made a patch, have a feature-request, suggestion or just want to comment something, feel free to contact me. frag-opt is a re-entrant argument parsing library that can parse not only the regular short (-o) and long options (--option), but also negation options, short (+o) and long (--no-option). frag-opt can also generate the help message for you. An example one is located here. You can access the manpage here as generated by man2html (and then fixed a little by hand). The manpage also includes a small example program. frag-opt comes from frag-opt really ain't getopt - or popt, technically. 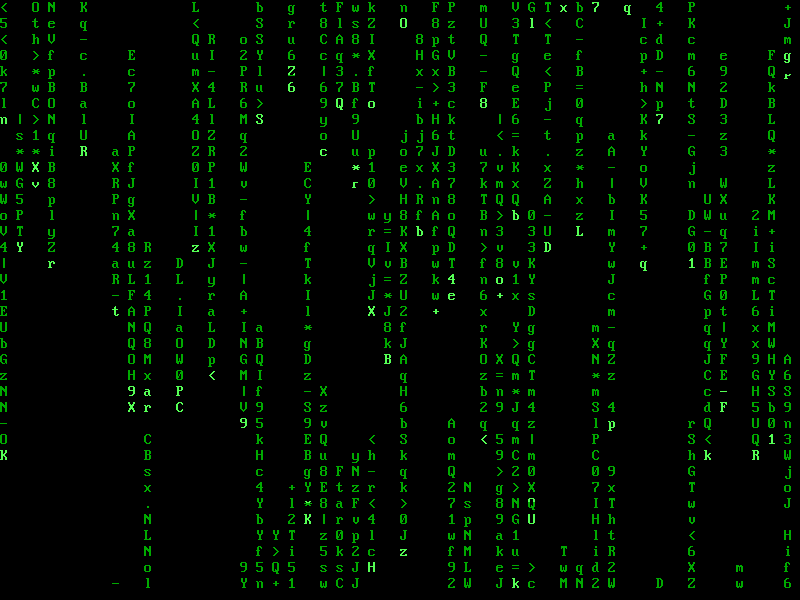 mtxe is yet another program that prints the code from the movie, Matrix. That's where the name comes from, Matrix engine. IMO it is the most loyal to the movie I've seen. You can change the speed and color while running or from command-line. Most of it's other features can also be controlled from either command-line or while running. 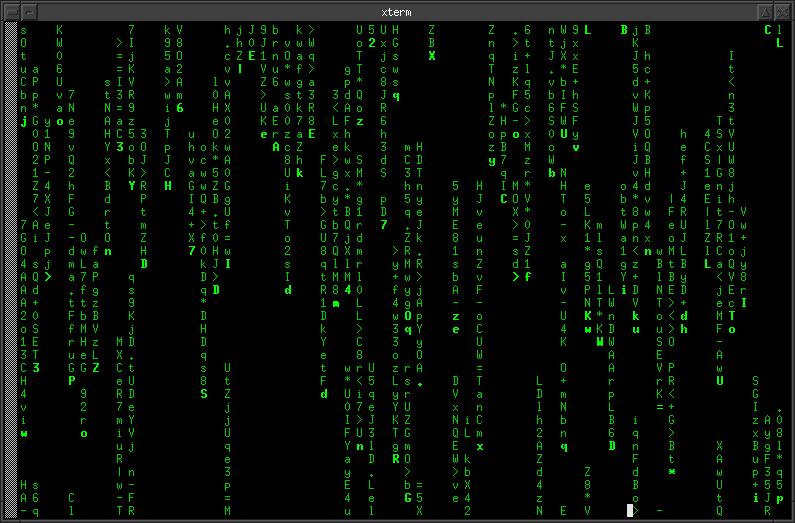 If you have a resizable terminal (xterm or something like that) the thing will resize on the fly, without resetting the whole matrix. mtxe requires frag-opt to be able to parse the command-line, but will build without it. The source compiles on windows using mingw and pdcurses. Note: due to problems in the pdcurses library, mtxe might freeze on win98 if you press some button. It should unfreeze if you try different buttons. All content is Copyright © 2008 Ville Jokela, unless otherwise stated.